For a while now, when people thought about services in regards to anti-aging, they assumed that the process would be entirely cosmetic. While the aesthetic options offered with these types of medical services make a profound difference in the patient’s confidence, the truth is that anti-aging services benefit people on more than just a superficial level. 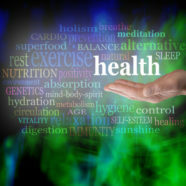 The techniques we use at Anti Aging & Functional Medicine work for a great many clients such as people needing assistance with their hormone imbalances, nutrient deficiencies, or fatigue. There’s nothing wrong with wanting to look and feel younger, but we encourage you to look into our other procedures that can greatly improve your overall wellness. Hormone imbalances affect a great number of American citizens on a daily basis. Our hormone optimization process allows us to manage your thyroid levels, estrogen, DHEA, cortisol, and progesterone levels, to name a few. Having a healthy estrogen level is essential to anyone who may have a family history of breast cancer while having a healthy thyroid can prevent a serious condition, such as a thyroid storm. Monitoring your cortisol levels can greatly decrease the occurrence of adrenal fatigue, which has been linked to insomnia, digestive problems, and depression. Maintaining a healthy balance of hormones can have great advantages for your hair and skin, but it’s also essential in averting more serious, life-threatening conditions. According to a study conducted by Calton Nutrition, over half of our population suffers from a deficiency in Calcium, Vitamin C, Potassium, and Vitamin E. Half of us experience a deficiency in Magnesium and Vitamin A. When your body is lacking in essential nutrients, you can experience low levels of stamina and a slower healing process. This makes IV Nutrient Therapy a great alternative for the average person. This process restores youthful vitality to patients that can help increase your energy levels throughout the day. This treatment also aids in speeding the healing process when recovering from some injuries. Chelation is a chemical process in which the bloodstream is injected with a synthetic solution in order to remove foreign metals and heavy minerals. This can be especially useful when combatting clogged arteries, heart attacks, and a number of other conditions that may affect the cardiovascular system. Chelation does this by regulating the amount of arterial plaque building up in the arteries, something that can eventually cause heart problems over time. Part of looking youthful and vibrant is displaying an upbeat, invigorated attitude. While our company is proud to offer services such as Dermal Fillers, Sclerotherapy, and Hair transplantation to clients that want to appear younger, we have committed ourselves to provide services that make patients feel younger too. Utilizing methods that promote healthy internal processes within the body is key to giving our patients that youthful glow. With the help of our staff at Anti Aging and Functional Medicine, we believe you can reverse the clock on aging and live a fulfilling life for many more years to come. Aging can be a difficult thing for most people. It can be tough to cope with the aches and the pains that are often part of the natural aging process. It can be difficult to look in the mirror and not be able to recognize the reflection that’s staring back at you, too. If you have any concerns that involve conspicuous indications of aging, however, there are options out there that can aid you. It doesn’t matter if you worry about crow’s feet, fine lines or wrinkles in general. 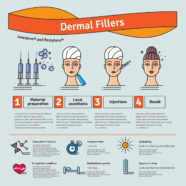 Dermal fillers may help you get on the path to feeling fantastic about your looks again. People who long for complexions that are youthful, supple and devoid of noticeable aging indications often are big dermal filler supporters. These fillers introduce people to all sorts of potential anti-aging advantages. Dermal fillers can be excellent for people who feel as though their looks could use some improvement. These fillers provide the skin with better foundations. Skin resilience tends to be the result of numerous fibers. Examples of these fibers are collagen and elastin. Hyaluronic acid is yet another natural substance that contributes greatly to complexion resilience. Manufacturing of these things tends to slow down as people get older and older. It usually tends to slow down once people get to around 30 years in age. Reduced levels of hyaluronic acid and fiber tend to minimize the resilience of the skin. Dermal fillers can do a lot for people who wish to replenish suppleness significantly. If you long for a complexion that appears dewy, radiant and resilient as can be, dermal fillers may just be your finest bet. 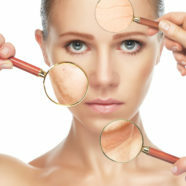 Wrinkles, fine lines and drooping can all wreak havoc onto your self-confidence. If you dislike the way you look, you may feel discouraged all of the time. Dermal fillers, though, can help you feel positive about your physical appearance again. Minimizing the appearance of wrinkles and fine lines can help you feel terrific in your physique. It can give you a fresh and energized appearance, too. Wrinkles and fine lines sometimes make people look fatigued and dull. Recovery can be a big hassle for people who opt for all sorts of anti-aging treatments these days. It’s not a hassle for people who prefer dermal fillers, however. If you get dermal fillers for your complexion, you should be able to bounce back from the procedure pretty rapidly. Dermal filler sessions are often complete in less than 15 minutes total. Once you’re through with your session, you can continue with your life just like you would on any other day. If you’re someone who can’t skip work or school obligations, dermal fillers won’t interfere with your existence at all. If you want to learn more about these fillers and how they work, call Anti-Aging & Functional Medicine in Raleigh, North Carolina. 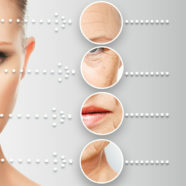 Anti-aging doesn’t refer only to fillers, surgeries, and facial treatments. One of the easiest all over anti-aging treatments, exercise, can cost you nothing but about 20 minutes per day. You don’t need to join a gym or even buy a DVD. Here are a few simple exercises to get you started, a few of which won’t even seem like a workout. According to Prevention magazine, the minimum about of cardio you need to do per week ranges from 150 to 240 minutes. That translates to about 21 minutes of cardio per day and walking counts. So long as you have a comfortable pair of sneakers you can fit this workout into your day. It doesn’t require special effort either. You can simply walk to the corner grocery instead of drive. Stroll around the block. Park at the far end of the parking lot and walk to the mall door, then walk to each store. Each person needs to walk about 10,000 steps per day. Most get about 2,000 steps. You can easily encourage yourself to walk more often by using a pedometer app or a physical pedometer. The advantage of an app like NoomWalk is the encouragement from other exercises. You can create a profile and share your daily steps, plus comments about your activities in the social aspect of the app. NoomWalk lets you virtually “high five” others and leave encouraging comments. It’s not required though. You can also use the app to privately track your activity by choosing to turn off the social option. The gamification and social aspects can help you add more steps to your day giving you the easiest 20 minutes of cardio daily. Jumping rope or a jumping workout such as jumping jacks counts. Jump move workouts like “Insanity” also qualify, as does aerobics. It’s the body weight bearing moves that help, so a step workout counts, too. Essentially, you need moves that simulate at least the squashing of a bug with your foot. If you’re older, you can help yourself build bone density by doing this type of exercise. Every time you take the stairs, you’re helping strengthen your knees and hips, plus build bone density. That translates to an interior anti-aging that can help your overall health in just 15 to 20 minutes per day. While most people think of weight lifting when they read strength training, you can also use a resistance training technique called isometrics. With it, you create the resistance with your body movement or rather lack of it. You hold a pose for a specific time period. These simple poses like the squat and the prayer pose build muscle by holding it in a static position. You can lift weights if want, but that’s only necessary if you want to build bigger muscles as opposed to toning the ones you have. You can find efficient workouts that require only 15 to 20 minutes. The key to overall anti-aging lies in combining these activities. You need the cardio, healthy bone density and the strength training to achieve optimum health. Walk every day. Alternate days of jumping/stepping and strength training. You’ll see the years disappear as you strengthen your body. Who doesn’t want to hang onto a youthful complexion for as long as possible? Men and women alike lament their aging reflections as a combination of lifestyle experience, stress, and diet take their toll on our skin. Although there are plenty of products on the market that claim to be the next “fountain of youth”, we really don’t know what goes into making these miracle products, and the result of excess chemicals on the skin will only hasten the aging process. Fortunately, there are some simple things you can do right at home and in your daily routine to combat the aging process and turn back the clock once more, revealing a youthful, glowing complexion. Follow these tips for your best skin yet–naturally! Nothing works more effectively at improving circulation and helping to drain lymph nodes than a facial massage. Whether you give yourself a massage at home or treat yourself to a relaxing spa session, you’ll see results with consistent stimulation; your skin will take on a luminous glow, and you’ll see fine lines and wrinkles plump up once more. Omega-3 is your ticket to soft, smooth, supple skin. Fatty acids present in this supplement strengthen cell membranes, making them less susceptible to environmental damage. Your skin is better able to absorb nutrients as well as slough off dead skin cells and impurities that can contribute to a duller, less vibrant complexion. Take supplements daily from 1-3 months for optimal results. 3. Drink water, and lots of it! Drinking enough water can dramatically improve the look and feel of your skin, but you must drink enough of it to flush impurities from both skin and body. If you consistently drink 3 liters or more daily, you can expect to see a dramatic improvement in the tone and texture of your skin within 5 days! That’s the fastest facelift available on the market today! Skin that is dry is prone to sagging and wrinkles, while hydrated skin looks fresh and dewy. Simply running a humidifier while you sleep will reduce the look of fine lines and wrinkles, and leave you with hydrated, plumper looking skin in no time. Use nightly on your bedside table for a fresh looking complexion each morning. Nature’s best mask is good old egg whites–whip up a quick mask and apply for an instant brightening facelift. Whisk together until the mixture is white and frothy. Apply it to your face with a cotton ball and leave it on for ten minutes, or until your skin feels tight. Rinse off with warm water and pat dry. Combine and ingest daily each morning for mind and body benefits that extend to your skin and beyond. Uncovering your best skin yet is easy with these tips, and they are all natural to boot! Embrace a younger, more radiant you as you move toward total health and wellness! Aging is something that we all must do, but we don’t have to do it quickly. What if there were ways to change the way that our bodies and faces are aging? Would you follow the secrets to see what happens? Many of us would and that is why we are ready to share with you, these anti-aging secrets. There are some people who use sesame oil every day when they wake up. By rubbing it all over your skin, you can start to feel an amazing difference. Your skin soaks in the oil, which helps it to stay hydrated and soft. It will give it a healthy glow and when you go into the shower and rinse it off, your old skin cells will literally fall off to make way for the new ones! Who said that drinking coffee is bad for you? Caffeine actually helps to wake up your skin and your mind. Rubbing coffee scrubs, lotions, and creams onto your face can help you to get rid of the dark circles and puffy spots that come up on your face in the morning. Keep the coffee around because you’re going to need it! White sugar has been shown to speed up aging in people. It also can connect to the collagen in your body and start to break it down. Collagen is important to our bodies and our skin because it helps to create new cells. The more collagen in your skin, the less wrinkles and fine lines you will have. If you want to eat something sweet, eat more fruit and vegetables that contain all-natural sugars. It is crazy to think of how much we exfoliate our faces and add wrinkle creams and lotions to them, but what happens as our hands start to age? Many people say that the first place they saw aging was in their hands. This can be reversed, just like our faces. It is important to take very good care of our hands with lotions, but also to exfoliate them and use creams that can help build up the skin cells in them as well. Our hands do so much for us, so it is time that we repaid them! The sun is the culprit for so much that happens to our skin. Wearing sunscreen is the best way to avoid getting those premature lines and wrinkles. Models, celebrities, and doctors all swear by the use of sunscreen and depending on what elevation you live at, you may need to apply it more than others. When it comes to taking care of your skin, remember, it’s the only one you’ll get! Looking after our faces and our bodies is very important when it comes to keeping your youthful glow. Be good to your skin and you will see how great you will continue to look! Aging is a totally normal process. That doesn’t mean that indications of aging are necessarily welcome, however. If you have any frustrations that involve the emergence of wrinkles and fines lines on your formerly baby-soft skin, you’re certainly not alone. If you have any worries that involve sagging and loss of firmness, there are many others who share your concerns, too. Terrific news is on hand for people who want to reverse the aging process, however. 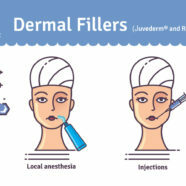 Dermal fillers are injections that can do a lot for the appearance of the skin. If you’re enthusiastic about achieving skin that’s supple, radiant and devoid of wrinkles, then these fillers may be able to provide you with the anti-aging results you desire so much. Dermal fillers bring many anti-aging perks to the table. Dermal fillers can minimize the appearance of wrinkles and fine lines. That’s not all they can accomplish, either. These fillers also can give the skin enhanced volume. If you want your skin to look supple and bouncy, dermal fillers can be advantageous. These injections can aid people who have skin that has taken on a somewhat droopy look. Dermal fillers typically revolve around collagen or hyaluronic acid. Both of these substances are 100 percent natural. If you want to revitalize your looks and attain skin that’s moist and glowing, dermal filler injections can undoubtedly go a long way. Downtime can be a big struggle for people who get aesthetic treatments. Healing after certain procedures can interfere with jam-packed schedules. It can stop people from being able to lead their normal lives, too. If you dislike the thought of putting your life temporarily on hold, dermal fillers may be a strong match for you. People don’t have to devote their precious time to the healing process after receiving these injections. Dermal filler sessions often last for merely 10 minutes or so. Once your session is finished, you’re ready to exit as you please. Getting dermal fillers won’t impact your career, social life or errands in any way. There are some aesthetic treatments out there that honestly don’t stand the test of time. Dermal fillers are definitely not part of that classification. If you get these fillers, you may be able to keep your youthful glow for a minimum of six months. You won’t have to think about going back to get a “touchup” for quite a while. This is yet another perk for people who lack significant amounts of spare time. Dermal fillers don’t make people look fake or unusual in any manner. If you’re looking to energize your appearance without compromising the charms “Mother Earth” gave you, these injections can serve you nicely. If you get dermal fillers from a qualified and seasoned professional, you shouldn’t have to fret over anything. Indications of aging can sometimes make people feel bad about themselves. It can be hard to notice the development of wrinkles and sagging. If you want to feel better about yourself, then getting these injections can work. Since they can enhance the appearance of your skin, they can also enhance the way you view yourself. Dermal fillers are designed to help people adore being in their own bodies. 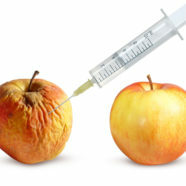 Contact the Anti Aging & Functional Medicine team as soon as possible to learn more about these injections.